Final snowshoe race of the Beaver Creek series in 2016. Photo by Kim Fuller. McCoy Park was dressed her best for the final race of the Beaver Creek Running Series: Snowshoe Edition in 2016, held on February 28. Bright blue skies lit up the snow-covered trails on the beautiful Sunday — a warm, end-of-February afternoon that made for a large participant turnout and soft conditions on-course. The final race of the series usually takes place up at McCoy Park, and the other two are down below in the valley. The higher elevation course seems to be a favorite among many, since the views are spectacular from the area, which sits at the top of the Strawberry Park Express Chairlift. Each race in the series offers a 5 kilometer or 10 kilometer course, as well as a kids 1 kilometer dash. The 5k and 10k always start together, but usually about a mile in the courses split apart. The McCoy Park course has a lot of up and down terrain, in both the 5k and 10k. The courses forked less than a mile in this time, with the 10k making a pretty sharp climb on singletrack before dipping back down into a valley, and then back up for the finish. The 5k had a similar structure but on a smaller scale, cutting off the major hilltop incline and valley decent. Racer on the 10k course in McCoy Park, Beaver Creek. Photo by Kim Fuller. After the race, 64-year-old participant Nicholas Fickling shared some of his thoughts on having a successful snowshoe race. For snowshoe racing strategy, Fickling said to time your position before entering a singletrack section — to get in front of those who you may be faster than. The really competitive, big efforts happen on the more wide open sections where overtaking is easier, he explained. Heavier racers, especially in the front of the pack, may end up postholing — or falling far beneath the surface of the snow. “I’m quite large, and if you’re the first one over a heavy section, then you are going to be postholing — so you have to be very lightfooted,” Fickling explained. Fickling finished first in his age group for the 10k course, with a time of 1:04:13. He was 6th overall for men in the 10k. For a full list of results, visit www.beavercreekrunningseries.com/feb-28-results-by-class/. Lunch service for each race during the series was held at the Dusty Boot in Beaver Creek Village, complete with an awards ceremony and raffle. Awards were given to the top three participants in each age/gender/distance category, and all runner were entered into the raffle. Winner from each age division receive a pint glass. Photo by Kim Fuller. “It’s quite nice to me that there’s little prizes for the people who do well, and anyone who turns up here could end up going home with a big prize,” shared Fickling. Age category winners went home with a 1st, 2nd or 3rd place pint glass, but the big raffle giveaways are what got everyone hooting and hollering in the Dusty Boot. Every race, Atlas donates a few pairs of their Race Snowshoes to the raffle, valued at $339. Another special feature of the Beaver Creek Running Series: Snowshoe Edition, is the event race gifts and series gifts. Half-zip for series participants in 2016. Photo by Kim Fuller. Participants get a different accessory item every race (useful items like a running waist belt, a winter hat and long socks), as well as a series gift. This year, those who signed up for all three races received a heavy-weight hooded half-zip, embroidered with the event logo on the sleeve. Stay in the loop on the Beaver Creek Running Series, for winter and summer, at www.beavercreekrunningseries.com. Kim Fuller is a freelance writer and snowshoe race lover, based out of the Vail Valley of Colorado. Writer Kim Fuller (right) with fellow racer and friend, Corrie Crane. 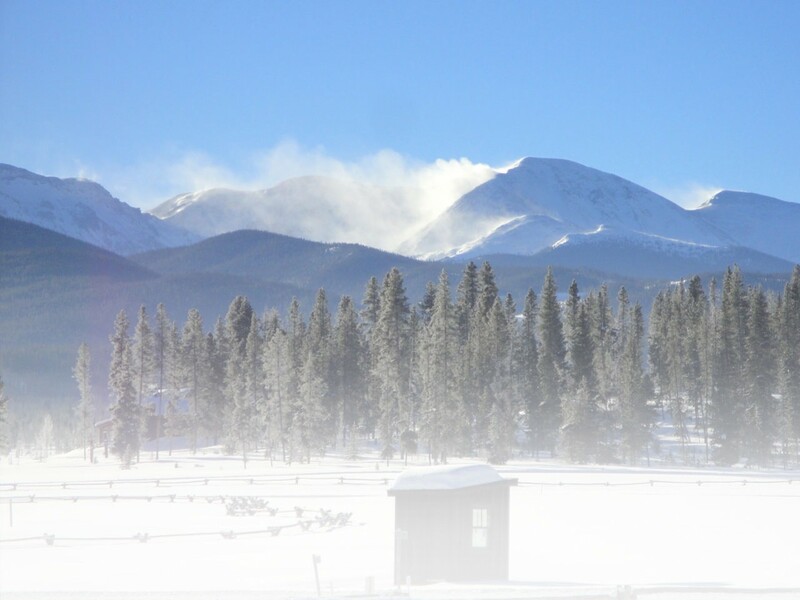 This entry was posted in Destinations, Features, Homepage Featured, News, Racing, Snowshoe Racing and tagged Atlas, Beaver Creek, colorado, footwear, Gear, Snow, Snowshoe, Snowshoe racing, Snowshoeing, Snowshoes, snowsports, sports, Winter, wintersports by Kim Fuller. Bookmark the permalink.